Pauline Sasaki has been a great influence over Nicola’s work since the 80’s. More recently, Nicola was in a small group of European teachers who studied Pauline’s high-energy work. Out of this, and along side her daily qigong practice, she has developed her lightbody energy work. Nicola is also an artist. At an early age she was illustrating flowers and later became a botanical artist. Over the last 15 years her work has changed to representing the energy she ‘sees’ while working with energy. Nicola loves sharing her practice with others. 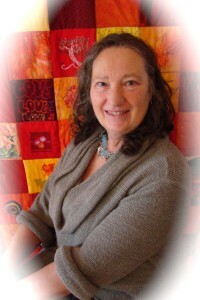 She teaches Qigong, shiatsu and energy and art groups.